We say ‘unhelpful’ because, perhaps not surprisingly, the way that you cancel the Kindle Unlimited service is buried several layers deep on Amazon. 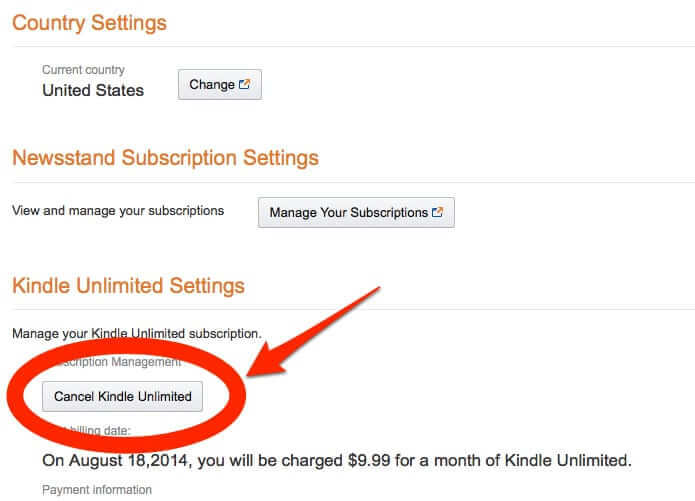 So here are step-by-step directions for cancelling your Kindle Unlimited service. And your Kindle Unlimited subscription will be cancelled. So let's say that you tried the new Kindle Unlimited service, and now you want to cancel it. Just how do you unsubscribe and cancel Kindle Unlimited on Amazon? Here's how. Wow, thank you for the info. The steps are outrageous. So glad l fount this article. Thank you!!! I’m not sure how I even “subscribed” in the first place. how can I get to that page? Also I followed the advice of others and complained to Amazon (which was a mission in itself), and they refunded the money. Thanks, Anne. Very public-spirited of you. Glad to be unsubscibed at last from Kindle Unlimited (it was far too limited to be worthwhile). Was Amazon deliberately making it difficult for subscribers (= freeloaders in many cases, including mine) to cancel their enrolment? Just one thing: your instructions are slightly imprecise for UK subscribers (presumably Amazon’s UK website uses different wording, icons, layout, etc), but they provided good enough guidance for me to follow through. I have not signed up for Kindle, but am being charged $10.69 a month I have looked at my bank statement for the past seven months(since July of 2017) and the charge has been there. My goodness i cannot see or find delete/cancel kindle unlimited ,someone help! Thank you very much internet patrol team. 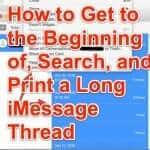 Very useful tip which seems harder at first in managing kindle app. Thank you so much. This is amazing advice Amazon appear to think they can just charge people witout permission for this ‘service’ just because you accidently click one button. We contacted amazon and they are refunding 6 months worth of money ariund £50! PLEASE CANCEL MY ACCOUNT I DIDN’T SIGN UP FOR ACCOUNT. DON’T OWN A KINDLE. REFUND TWO MONTHS PREMIUM. Thank you! Had been struggling with this!! 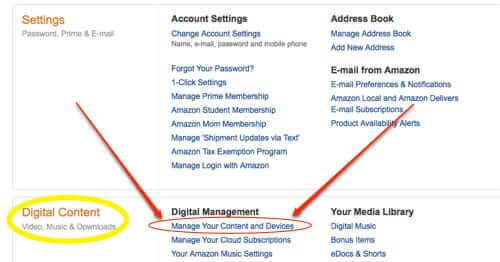 I do not see “cancel kindle unlimited”, I only can see “Manage your Membership” what does that mean? THANK YOU FOR THIS!!! 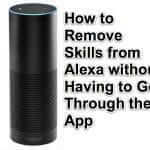 SO HELPFUL AND EASY! Thank you!! Awesome step by step guide. God bless you with a handsome payback!!!! You saved lots of people lots of time and frustration and I am truly grateful. Omg who ever wrote these instructions needs a raise! Thank you! Thank you so much for posting this and for your help!! Whomever you are…you deserve a cake or something. Thank you so much, I spent hours on amazon looking for way to cancel my kindle unlimited subscription. Very helpful. Joyce, the Internet Patrol has absolutely nothing to do with Amazon at all, let alone your Kindle or your account. We are just a site that wrote up the directions. I don’t need directions to cancel … Someone??? has already done that for me now I can’t even get into Kindle to read any of my books … I think your system…….. Can’t say that here. Just fix what someone on your end has done to my Kindle, if not I’ll have to find me a better system. Thanks for these great instructions. I canceled on one laptop but it did not cancel on the other laptop. I finally called them and got it straitened out AND a refund of the two months. Thank you so much! I have been all over Amazon trying to figure this out; they make it really difficult! What do you do when it says you’re not currently subscribed when you are? I couldn’t find kindle unlimited in account settings is there another way? this doesn’t work if you (dumbly, I confess) signed up for a longer subscription. It will only allow you to prevent it from renewing. So .. how to cancel a multi-month subscription — and, people, just don’t do that!!! Thank you so much. Easy to follow instructions and best of all it worked. Brilliant! Job done and dusted. Kept telling me I was not subscribed to Kindle Unlimited so therefore no option to cancel. Would never have sorted it without this great little article. Thank you so much. Thank you so much. I returned my Kindle only after finding and completing the “cancel Kindle Unlimited” on the Kindle itself. And then cancelled my account on the Kindle itself. Bad move. The Kindle apparently had to be reconnected to the computer to upload the cancellation. I’m supposing here, because I have been charged for 4 months since so the cancellation didn’t happen. Phone is not an option so I was up a creek. On the wild chance that someone else had the same problem, I tried google. Thank you, thank you, thank you. Expert directions. I thought I had cancelled my subscription months ago. $30-$40 I realized I hadn’t. Thank you so much for this extremely helpful and easy to follow guide. This was extremely helpful. Thanks! I didn’t intend to sign up in the first place. I didn’t click on the option, but apparently hovered over it for a fraction of a second too long and there I was being congratulated for being part of Amazon Unlimted.Then the problem was to cancel it. I was already miffed so was particularly glad to find your detailed and accurate description. BTW does anyone know how, or if, the authors are paid? Thank you. I would have never figured that out on my own. This site is a great resource. I will definitely use it again. Most helpful article I’ve ever read! Thanks. Made it super easy to cancel this. Thank you for this step by step. I think it’s worth noting that you can’t get to that page with managing digital content on the mobile site. I had to view full site just to get to that. Thanks for this article. Super helpful!! Would never have found that without your detailed help! Thank you! Thank you! Clear, concise, exactly what I needed! Thank you – this was great! Those step-by-step instructions that actually match up to what you see on the screen (lots of time that’s not the case) made this so easy. Amazon makes this very difficult and frustrating to wade through on your own. VERY HELPFUL – Very simple, clear instructions. Thanks for helping me cancel my Kindle unlimited – I didn’t even realise I had signed up until they took money from me ! First class – I had almost given up wading throughthe Amazon jungle. Thank you! Very helpful. I was so mad going through my Amazon account and still not figuring out how to cancel the stupid thing. I liked that you did it step by step. It took me two minutes with this. Thank you!!! This would have been impossible to find! I would have NEVER found this on my own! YOU ARE THE GREATEST! This was so helpful and easy (with your instructions). Thanks again. Kudos for you because you saved my life! OMG, THANK YOU!!! I can’t believe how much time I wasted trying to figure out how to cancel this. Thank you for your clear, step by step, instructions. Hello from Brazil! Many thanks, you really saved me! Could not be easier! Never usually leave comments but thank you so much for this, I never never would have found it. Already paid 2 months I didn’t want to pay. Thanks again. Thank you…..they hide it so it you cannot cancel. They hope you just give up and then they can continue charging you each month…. Thanks, seriously thank-you! I’ve been paying for that s**t for the past 2 months whilst I tried to decipher their crappy instructions on how to cancel. Thanks! It is buried deep and this saved a lot of time. Great job! So easy….will use this site again. thanks, this was most helpful. Good job. Very helpful and easy to use. I’m disappointed that Amazon made it that hard to cancel. Thank you so much! Very easy to follow your directions. I would never have found otherwise. Thank you, this was really helpful! THANKS! That was super easy and stress free. Thanks. This was very easy to follow. This was very helpful! You would think Amazon would make it straight forward, alas! Thanks for this information, really appreciate it. Thank you for this!! Still haven’t figured out how to do it from the device, but this will work. Really helpful. We had spent hours looking for this. Many thanks. you made this very easy – thanks for the help! Thank you so much!!! You made it easy….. they didn’t!!!! Kinda of left me “sour” on amazon when they make it difficult to almost impossible to cancel a service. I’ve been racking my brain trying to figure out how to cancel and if I was smart I would have just done a search(which I finally did) a long time ago. Thank you so so much for your article. Very easy to follow. Thanks. I’d have never figured that out on my own. Thanks for your post! I searched Amazon’s website and help but couldn’t find the answer. Thank you very much!!! Got lost going through multiple pages on Amazon. Thank you. Your instructions were spot on. Anne- simple, clear directions to cancel. thank you. I swear that my kindle would NOT let me proceed without signing up with unlimited. thank you. Thank you!!! I would have never figured how to cancel Kindle Unlimited!!! Thanks so much. I subscribed to kindle unlimited by mistake and had no idea how to cancel it. After several attempts, I searched for help. It worked! I am so grateful! Brilliant. Worked first time. Shame on Amazon for providing such poor explanation of how to uncancel. So helpful…never would have figured this out! Thank you thank you thank you. You just saved me from having to send an angry message to amazon. I appreciate your article. I was getting very frustrated with canceling before I found your article! It was super easy with your instructions! Thanks so much! Thanks. It would have taken me a lot of time to figure this out. Your instructions were very clear to follow and I cancelled quickly. You made this simple, Would have taken forever to find this on my own! Thank you…you saved me a lot of time and aggrevation trying to find the cancellation of the kindle unlimited services! Thank you! This was extremely helpful! Wish I had found this site earlier, I struggled for a long time trying to figure it out! I too thought the one month free sounded good! Pretty sneaky!! Very helpful. Thanks so much.your very clever. I saw that Kindle Unlimited was free for a month, so I wanted to try it out. I forgot to cancel it before I was charged; when I saw it my account was charged, I wanted to immediately cancel it(don’t need an extra “bill”). I got very impatient looking for how to cancel the subscriptions(didn’t look very long or hard). I’m glad I found this article…thanks!!! Thanks. Been searching on amazon for unsubscribe info. Your instructions were perfect. I was thrilled when I found your article. I had invested a great deal of time searching Amazon site regarding cancellation of Kindle Unlimited. Thank you for your effort and sharing! Thank you so much for the detailed instructions! I searched kindle unlimited on amazon and it only brought up how to subscribe, there were no options for cancelling. I hope my gratefulness sends you some good luck! Thank you so much! Canceling Kindle Unlimited is so tedious and very hard to find. Your step by step process made it that much easier and saved me a whole lot of time! Thank you so much I would have never ever found this.! And that is what amazon is banking on. That you forget about it or that you give up after not being able to find it. Thank you, very helpful! Not sure if I would have found…..looked all over. Thank you! What a relief to get this subscription off of my back. I never would have found that tiny “settings” button or thought to look there on my own. thanks, I looked everywhere and didn’t find how to cancel ! If only the unlimited had books to read that weren’t old or cheesy. Phew, at last!!! Thank you. Thanks for the instructions. You made it very easy! Thank you for taking the time to post such concise instructions. I appreciate your efforts. Thanks for the helpful, clear presentation, it worked perfectly. Wished I had seen the limitations writeup at ebookfriendly.com/kindle-unlimited-ebook-subscription/ before I signed up. I spent a good deal of my morning trying to cancel what I thought would be easy by going into the settings like they said. I actually got a headache with the run around. Thank you for this helpful information. Thank you, thank you! I’ve spend a lot of time trying to figure this out before I found your easy instructions! Good Karma Buddy, you just saved me £7.99 for a month’s worth of crap. Thank you! Very helpful. Clear directions that worked. Yes, it is definately difficult to find. Your directions saved me a call to customer service. very helpful thanks! I hate that all our books will be removed though, especially since I can’t stock up that many books on my Kindle. Thank you so much. You weren’t kidding when you said that it was layered pretty deep – that cancellation button. I tried looking for it and couldn’t have gotten there without your instructions. Thanks. Thank you for your clear and concise instructions. Thanks for the help. I’m not very computer or internet savvy, so I spent quite awhile (2 days) trying to figure it out on Amazon before it occurred to me to Google it. I know I would have been charged for something I’m not using if it wasn’t for you. To echo the other comments, many thanks. On top the run around to cancel, it’s almost impossible to contact kindel. Would have never figured it out. Thanks! Thank you! I couldn’t find it by myself. Thank you! Yeah, they don’t want you to know how to unsubscribe, duh! I love Amazon but it really aggravates me that they would be so sneaky about the cancellation process for cancelling kindle unlimited — especially after giving them so much business over the years. Thank you for the instructions. I was completely lost! Much gratitude and praise to you. Thanks so much…you said it all- Amazon was unbelieveably unhelpful! Spent too much time on Amazon looking for this before finding you. So glad you are out there. Thanks, that was very helpful. Thank you, I would have never found it on my own! Agreed. Very helpful. Don’t know that I would have found that on my own. Thanks from me, too! I searched Amazon and could not find the page for canceling Kindle Unlimited. I appreciate your help! Thanks! Just wasted 15 minutes looking for this before googling the answer. Cheers!